Google is rolling out its own Internet speed test tool in conjunction with Measurement Lab. All it takes is the following Google search and clicking the "RUN SPEED TEST" button. 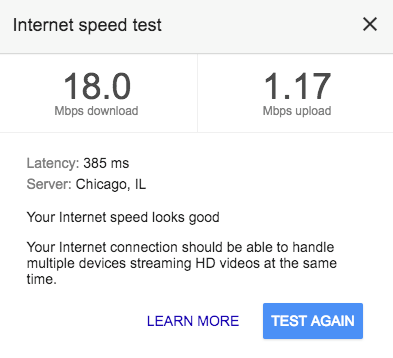 The following result is from my home Internet connection from Charter Spectrum (was Time Warner).